Most people take the road most traveled when it comes to martial arts training. Which means only a handful of people ever take the road that is less travelled. Right now somewhere someone is about to give up on their training. Maybe they feel that it is to hard to become an expert or maybe they feel that other priorities come first. Whatever the reason, the fact remains that in a class of 30 students only 1 or 2 of those students will ever become experts and go on to open their own school of martial arts or train for the rest of their life. The point is, very few will make martial arts a lifestyle. I am sure at one time or another you ran into someone who said they trained for 15 years or they got their black belt or something along those lines. When you ask them what they do now, often the answer is nothing related to martial arts. Some say martial arts is like riding a bike, once you learn you never forget. However try riding a bike after not riding for 20 years., you will find that you are rusty, short of breath and maybe even a bit wobbly. This would be even more so with martial arts because it is mentally and physically more demanding than riding a bike. 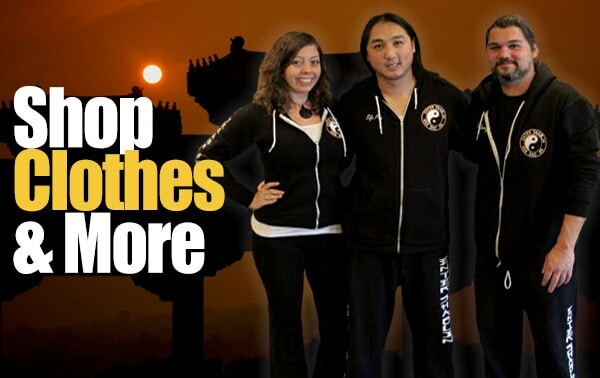 The only way to be good at martial arts is to commit to making it a lifestyle. Not for a few months or a few years. You have to make a powerful decision to include martial arts as part of who you are for the rest of your life. The 3 things I am about to share with you mean the difference between getting to the finish line or falling short of your full potential and these virtues can be applied to many other things areas of your life too. Everything is Kung Fu. 1. Discipline: I am pretty sure every martial art school in the world preaches having discipline. But what does it actually mean to have discipline? 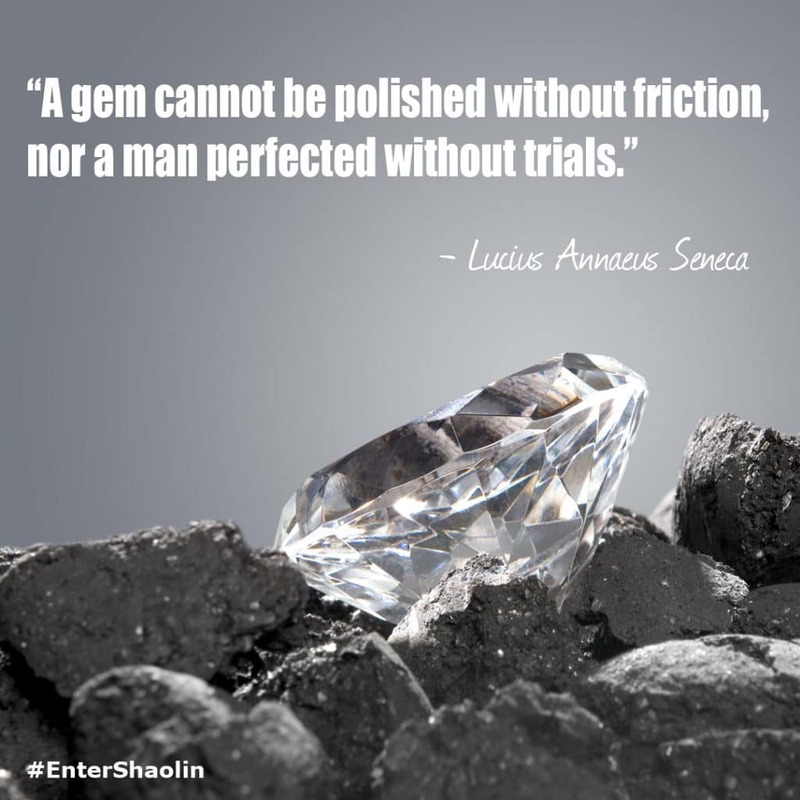 For a martial artist, this means to have restraint and control. In other words, not being hot headed. Not taking out your frustration or anger out on your teacher or the person you are training with. You have to be in control of your emotions. Don’t let your emotions control you. It also means making a commitment to train on a regular basis, making your health and wellness a priority and to stop making excuses for why you can’t do those things. However, if you want to fully absorb what is being taught to you, you have to be fully engaged in the lesson being given. You have to develop the discipline of pushing out other thoughts so you can focus your mind on what is being taught to you. In short you have to focus on the moment and be in the moment. 3. Patience: If you want to master anything, you must be patient. This is equally as hard as the other virtues and sometimes the hardest for many students. We live in a society that teaches us to expect instant gratification and sadly most have come to the same expectation with their training. Your training will take as long as it takes to get something and even once you get a concept, you will still need to perfect it, which really never stops. I know that isn’t the answer most want to hear, but it’s true. You must be patient with yourself, your mind, body and even your teacher at times. 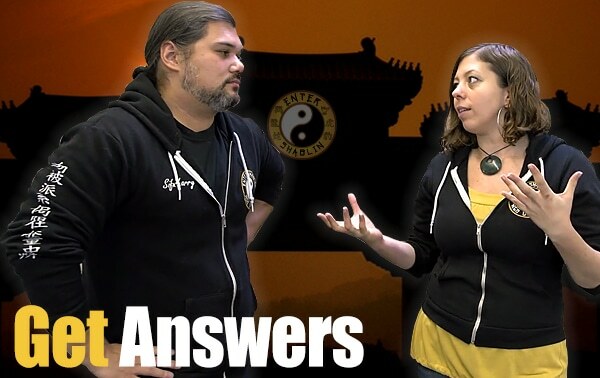 Without these 3 virtues in place your Kung Fu journey is going to be a lot harder than it has to be. This is why you must master these virtues, not only so you can master Kung Fu, but so you can master yourself. Getting black belts or sashes means absolutely nothing, because they only show you 1 level of accomplishment. In fact once a person gets their black belt or it’s equivalent it just really means they are ready to start actually learning. They have prepared themselves through discipline, focus and patience to go to the next level of their martial arts training. I consider myself just a student of Martial Arts. I don’t hold any rank. I started training when I was 6, I am 40 years young right now. I have been training most of my life. I still consider myself a student. Every time I train with Sifu Phu I learn something new and often even when I teach I am learning too. I know it’s crazy but as long as you continue your journey, you will alway be learning something new. Just stay disciplined, focused & patient and you will get to where you are going. By practicing discipline, focus and patience and taking the time to learn you art or arts of choice, you will be slowly refined. You will deal with pressure, deal with trials and struggles, but through your persistence you will come out even more brilliant than you already are. You will find yourself becoming better in all areas of your life. Living with less stress, confidence and better health just have a way at helping you in all areas of your life. And by practicing the virtues we covered, they will trickle into you career, studies, relationships and all that you do. By becoming better at these things, you become better full circle. Isn’t it fascinating that by having discipline, focus & patience you can learn practically anything? The people who are successful at martial arts are people that don’t make excuses. They prioritize their training and learning. It’s more than just a hobby to them it’s a way of life. They aren’t closed minded. They don’t think they know everything. They are humble and they are forever learning and therefor forever growing. I am sorry to tell you if you can’t find a way to make time for martial arts or you feel that it cost too much money to do martial arts then you my friend need to find a hobby, because martial arts is a way of life, not a hobby. It’s a pity to waste so much time and money on something that you are just going to be mediocre at and do not feel you will be doing this in 10, 15, 20+ years. More importantly if you think you don’t have the time or money to invest in you, then no amount of martial arts training is going to help when you need it most. If we flip this around and you actually love martial arts and you make it a part of your life and look at it as an asset rather than an obstacle, then your martial arts training will be there when you need it most. This could be in a fight or it could be in the gym or even in school or even when you are having a tough time in a relationship. Martial arts helps you to do so much more than know how to defend yourself. By deciding to excel at these 3 virtues: discipline, focus & patience, you can overcome just about any obstacle life throws at you. Martial arts can help you be a better you full circle, you just have to decide to not quit on yourself and to make it a part of your life. It’s really that simply. I just became a member and have been browsing the training section. My question is simple. Where do I start on the training? Do I simply pick one of the 9 sections and go through it, then move to the next section? Do I pick a few sections that interest me? I am 54, and I used to take Kung Fu as a child in the 70’s, I forgot most 🙂 I have been practicing on and off for years, but wanted to get serious again as I am getting older and slower.. Though I am much stronger as I am in the gym 6 days a week. Hi Richard, welcome to the family! 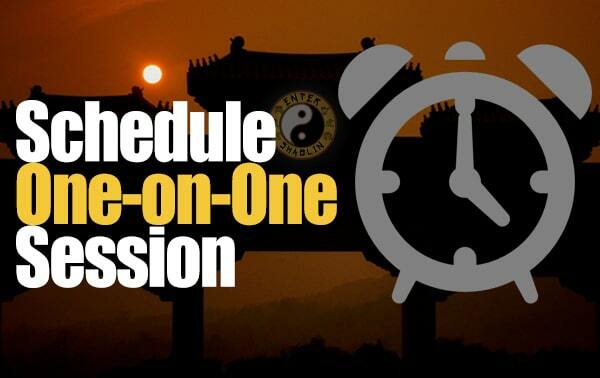 Ideally I would like to see you be able to do the first third of Tai Chi & the 10 basic qigong exercises incorporated into your regularly workouts..
From there work on the courses that interest you the most. If you have any questions don’t hesitate to drop us a email. Hi Jason, you are absolutely correct. The journey is always more important that destination. I love it to join, It’s my pleasure. 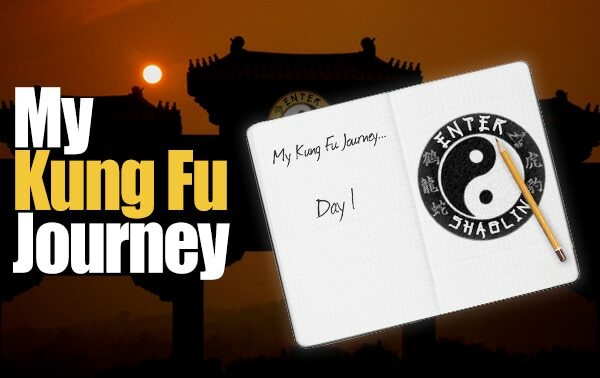 I have intention to dedicate my whole life for Kungfu shaolin. Thanks Sir. Wow, very nice post. I really want my daughter to learn martial arts for her self-defense but she is just 6 years old. Is she able to learn martial art right now? How John, it can be difficult to teach children martial arts. With that said, if she is getting re enforcement at home then it can be done. My name is Phu and currently I live in Vietnam. I have been struggling since I was married. The job, the food, family and kid. Nothing i have achieved since then. It’s just getting messed up year after year. I did joined a MA class but I quitted for two common reasons: money and time. But I don’t quit at home. I spare sometimes for everyday of week to train myself. From what i learnt, I repeated it day after day without feeling bored. I learn from Youtube, from Ebook from movement of people in the street which i find interesting and helpful. I go to work, i do housework, I take care and play with the kid everyday I respect people but bad things has mad skill of following me. I’m losing my patience, People’s losing trust on me. I just don’t know what to do.. But Im keep doing what i love to since I was a kid. I feel empty whenever Im training. All with the moment, the sweat, the breath keep me alive. Right now I think i’m losing my path, my direction, my trust. I just want to tell my expression which I lock inside my mind. Hey brother! Thank you for sharing your struggles and triumphs with us. Have you considered joining our community? Sometimes we just need to be around other like minded individuals to help us keep pushing through. 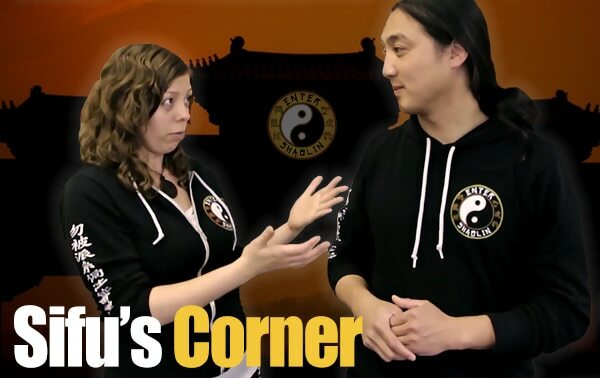 You can access our free training here: http://www.entershaolin.com/ebook We also have much more training as a full membership (we have Qigong, Tai Chi, Ngo Dac Na, Chin Na, Wing Chun and much more), there is a special offer inside for our free members under the NDN Intro section. If you need any help we are here for you!